QUINT 20+ power supply has an integrated decoupling MOSFET and double overvoltage protection circuitry to meet rigorous SIL 3 safety regulations. Phoenix Contact’s QUINT POWER line now includes a single-device solution that meets functional safety applications up to Safety Integrity Level (SIL) 3. The new QUINT 20+ power supply has an integrated decoupling MOSFET and double overvoltage protection circuitry to meet rigorous SIL 3 safety regulations without the need for external redundancy. The QUINT 20+ power supply introduces a single conformally coated device solution with ATEX, IECEx and Class I, Division 2 approvals, which allows the power supply to be mounted within potentially explosive areas (Zone 2). 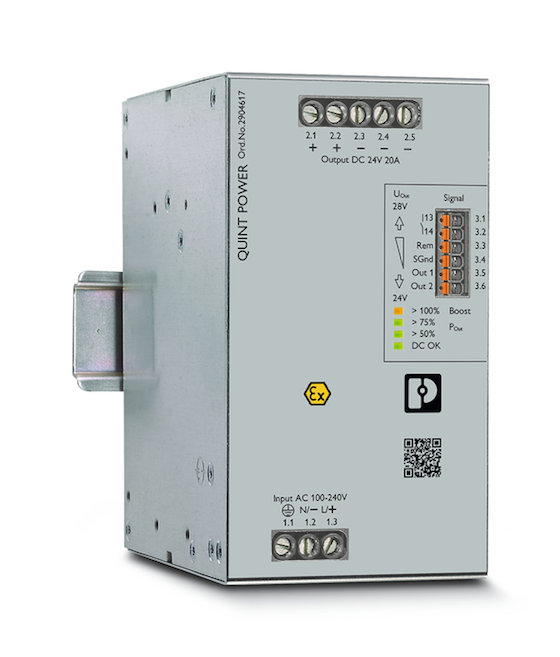 The functional safety approval allows the QUINT 20+ power supply to be used in applications up to SIL 3, according to IEC 61508. The safety function is to limit the output voltage to 30 V DC, and if higher, to switch off within 20 milliseconds. 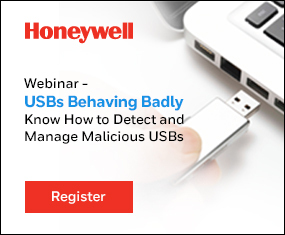 The safe state is no output voltage. Designed with double overvoltage circuitry, the QUINT 20+ power supply also has a Hardware Fault Tolerance (HFT) of 1.